In March 2018, I traveled to Tokyo on business. On my last day in that city, I spent several hours viewing the collection of the Meguro Parasitological Museum. 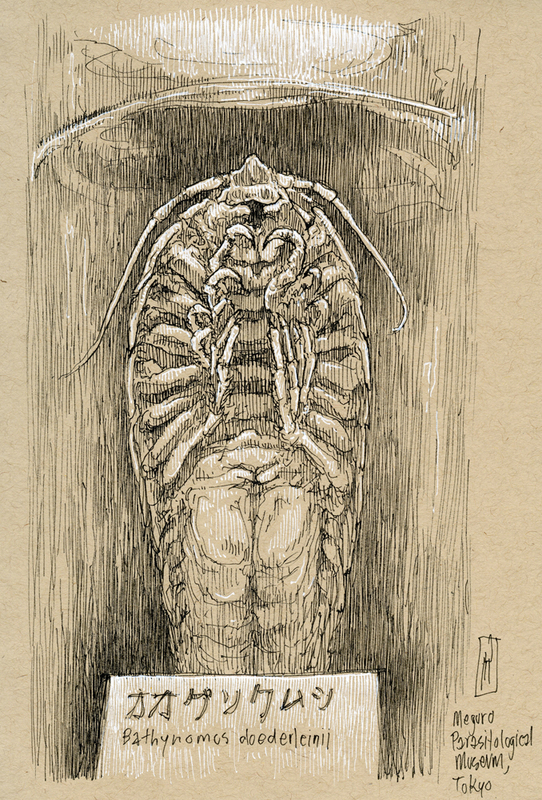 The spooky bathynomus doederleinii is a species of giant isopod that lives in deep waters of the Pacific Ocean. Related to the common woodlouse (a.k.a., pill bug), this family of scavengers is most often encountered attacking fish caught in trawl nets. In captivity, they have been observed to survive for up to five years without eating.